Can you believe it’s almost Thanksgiving?! I mean it feels like we just did this! But… yet once again here we are planning our thanksgiving dinner! 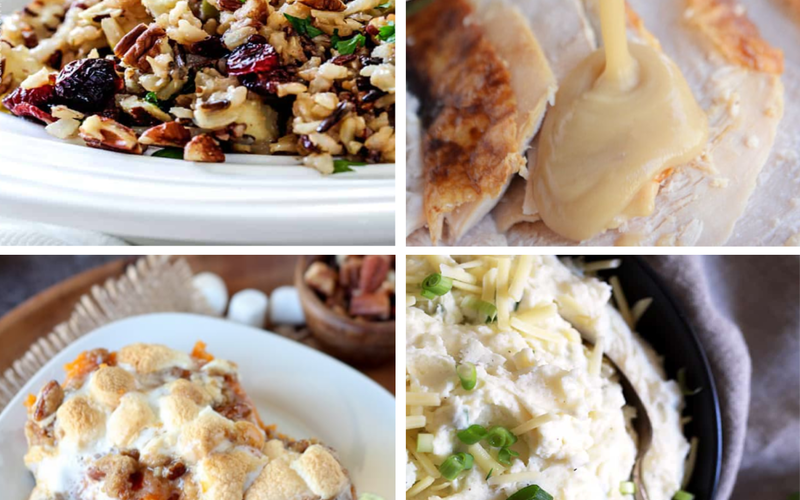 And even if its Christmas your planning- these recipes work great for that too! I love the holidays, but it can be hard to enjoy the family time, and the holidays if your slaving in the kitchen all day right? 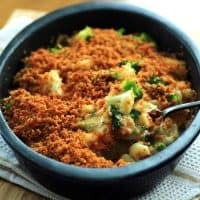 That’s why I put this post together for you of my 7 favorite make ahead dinner casseroles so that you can make these all within a few days in advance and enjoy the day with your family! You know what the best part is? If you make each one of these make ahead casseroles- you’ll be set for dinner! You won’t have to add anything else to the menu. Unless of course your feeding more than 20 people… then you’ll need to find a few more dishes to make. And since no Thanksgiving (or Christmas!) dinner is complete without a turkey, you’ll find a bonus recipe for cooking a turkey. So lets get to it shall we? This rice side dish is taking things to a whole new level. Like really- this recipe is fancy! Or it looks that way, it all cooks in one pot though! Check out this recipe from Carlsbad Cravings. Now onto the vegetable sides! These are my favorite, even without it being a special dinner. To me, its not thanksgiving dinner without a green bean recipe, so make your beans a little extra special with this recipe from Flavor Mosaic. And there you have it! Spend a couple days before Thanksgiving planning, shopping and making these recipes and you’ll be able to enjoy the holiday with your family instead of messing around in the kitchen! Don’t forget to get your FREE copy of the Make-Ahead Holiday Cookbook so that you can have more variety or suit other peoples tastes! Get ideas for making breakfast special (without getting up at 5 am) to dinner and an easy appetizer!